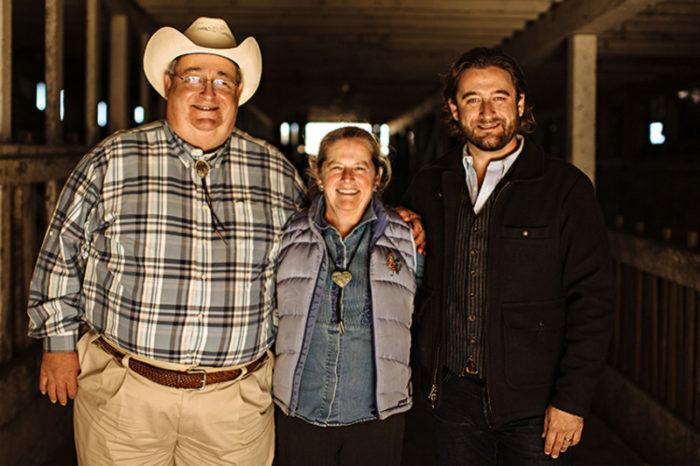 For nearly 30 years, the Hall family—Ted, Laddie, and son Chris—have pioneered a holistic, ecosystem-focused approach on their diversified farm amidst the sprawling vineyards of Napa, California. 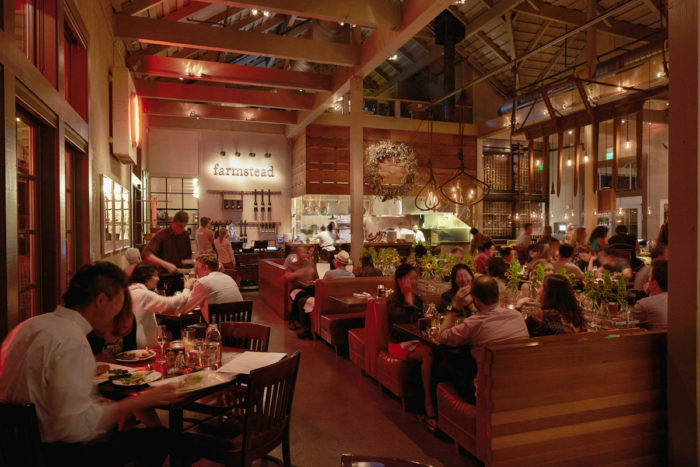 Visitors to St. Helena, Napa Valley’s chic epicenter, frequently stop at the Farmstead, a restaurant, cafe, farmstand, and general store known for seasonal, locally grown, and organic fare. To most, it’s a destination restaurant-winery, one of a handful of exceptional Wine Country establishments. But the deviled eggs and sauvignon blanc and the caramelized beets and cabernet tell a different story, one of heritage-breed chickens raised on the farm, certified organic vineyards, 150-year-old olive groves, and acres of heirloom fruits and vegetables. That’s the story of Long Meadow Ranch. That genetic resiliency is one of the key scientific principles grounding the farming practices at Long Meadow Ranch; another is water conservation—fundamentally important in this drought-prone region, Hall says. Long Meadow uses both dry farming and deficit irrigation to reduce their water use, resulting in roughly 25-30 gallons per vine per year, compared to an average winegrower’s 100-120 gallons per vine, according to winemaker Stéphane Vivier. Farming at Long Meadow is underpinned by the “systems engineering” perspective Ted Hall acquired while attending Princeton as an electrical engineering student. The farm is “a holistic system with many feedback loops,” he says, in which each piece affects the whole. 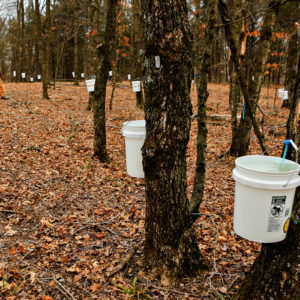 Some of his ideas about organic, sustainable growing, however, go back much farther. 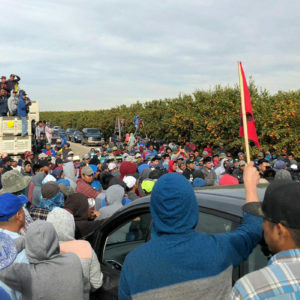 “When I was a child I spent a lot of time with my grandfather [who grew produce for a small grocery store in Pennsylvania] learning to turn a compost pile and making soapy water and nicotine water to use as natural pesticides,” he recalls. As a 4-H member, he raised chickens and Hampshire lambs and sold eggs. 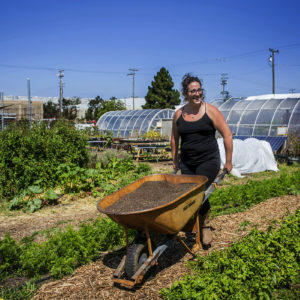 Later, as a graduate student at Stanford in the early 1970s, Hall and wife Laddie helped to re-start a defunct community garden. On the side, Hall made wine. Seventeen years later, the Halls took the leap from amateur to professional, purchasing their first Napa property in 1989. Last year, Ted Hall was voted the Napa Valley Grower of the Year by Napa Valley Grapegrowers for his leadership, his commitment to sustainability, and his community focus. In the big picture, Napa isn’t strictly monocultural—vegetable, field, and floral crops, as well as livestock and poultry, are raised throughout the county—but all of these products combined make up less than 1 percent of the region’s gross agricultural value. 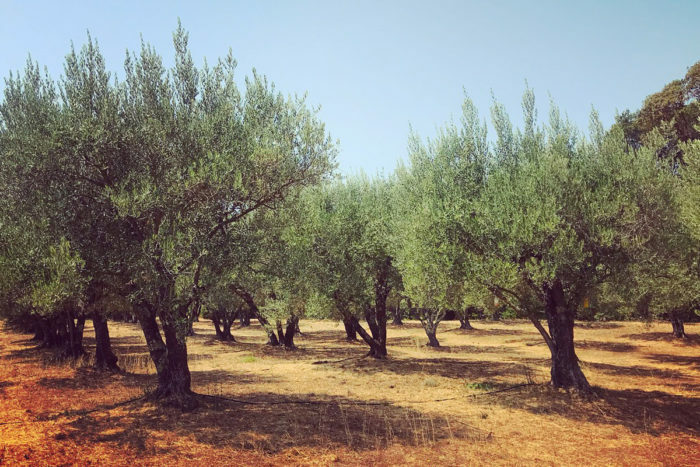 The rest is generated by fruit and nut crops, especially vineyards and olive groves, which are planted on about 46,000 acres. And although there are more than 30 varieties of grapes cultivated in Napa Valley, there has lately been a significant shift toward cabernet sauvignon, which fetches the second-highest price on the market and now makes up 50 percent of grapes grown in Napa. It’s not that Napa vintners aren’t planting other crops. According to Korinne Munson, director of communications at Napa Valley Vintners, many winegrowers do plant cover crops like legumes and mustard among their vines, use sheep and goats to remove vegetation, and have vegetable gardens, but, in most cases, these things are done to promote the healthy growth of the vines and for small-scale consumption—most vinters identify themselves and their properties as responsible growers of wine grapes, not diversified farmers producing a wide variety of agricultural products. Those that produce nuts, spices and vegetables on a large, commercial scale are few and far between. Many believe that crop diversification is one of the keys to a robust agricultural future. Not only is it a cost-effective means of improving agricultural resilience by decreasing the transmission of pathogens and quelling pest outbreaks, diversification can provide alternate income streams that may help to keep a farmer’s head above water in the event of disease or disaster. Part of the problem for smaller vintners, however, is the market, itself. 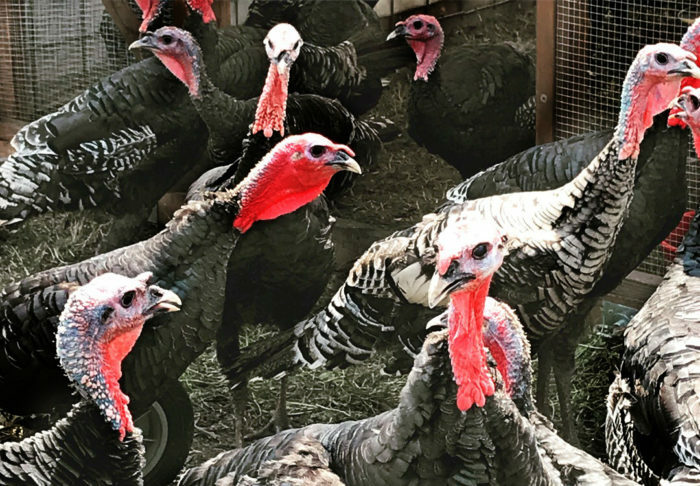 Whereas Long Meadow generates its own internal economy for selling vegetables, poultry, and olive oil on their Farmstead property and at their restaurant, says Munson, it’s a luxury that most wine grape producers can’t afford. “Long Meadow Ranch is one of the few vinter/growers in the Napa Valley that has diversified their operations so extensively,” says Novi. A small, select group of other highly diversified wine operations similarly depend on a self-generated outlet for selling products beyond wine. Novi points to two other examples: Hudson Vineyards, which raises heritage breed pigs and goats, grows vegetables and runs a small grocery called Hudson Greens and Goods; and Clif Family, which produces nuts, olive oil, spices, and produce which are prepared in dishes served out of their Bruschetteria Food Truck at their tasting room. Long Meadow can be “a little bit more of a champion for those diversified products because they’re feeding more people,” says Munson. Despite their larger footprint, the Ranch has stayed true to their original goals of stewardship and sustainability. “The growth has been thoughtful. Our vision has always been, with wine or anything else, to grow the right crop or the right variety in the ideal environment or location or soil or microclimate for what we’re doing,” says Chris Hall. Back at the Farmstead, the fruits of Long Meadow Ranch’s full-circle farming philosophy are on full display. Executive Chef Stephen Barber surveys the farm daily, creating new dishes for the restaurant’s menu as produce comes into season. The general store sells hot sauce made from estate-grown chilis, honey from the Ranch’s bee colony, and Prato Lungo olive oil from the historic olive groves. 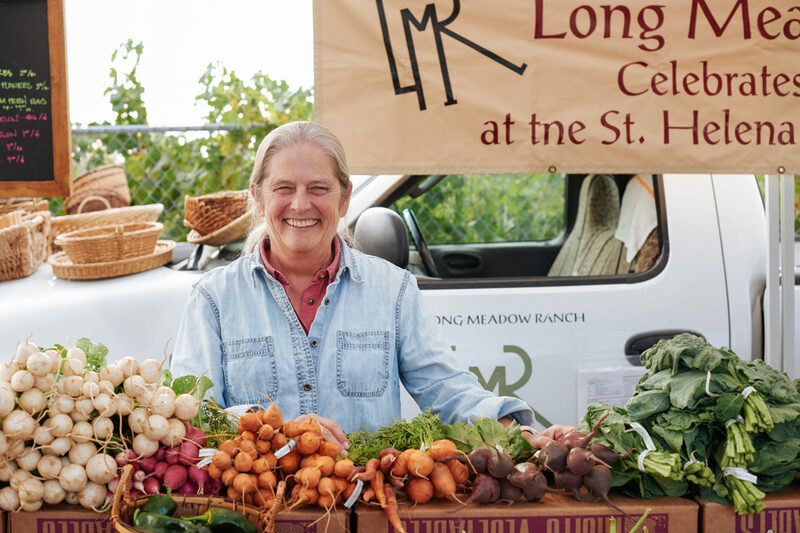 The on-site farmstand and other nearby farmers’ markets sell Long Meadow’s fresh, organic produce directly to consumers. And there’s the estate-grown wine, which flows generously in the restaurant, at regular outdoor community events, happy hours, and in tastings at the general store. “All the different facets contribute to one another,” says Chris Hall. “We are committed to proving that world-class quality and responsible farming go hand in hand. Top photo: Laddie Hall at a farmers’ market. (Photo credit: Shea Evans Photography). 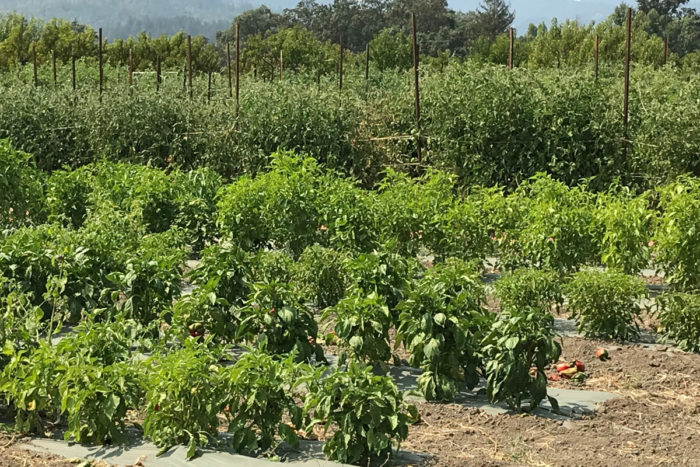 Update: This article was updated to accurately reflect the organic certification information for Long Meadow Ranch. I was impressed about the full circle concept and success of this farm. It occurred to me this type of program should be governmenally instituted. There can be progress through other farms even though they may not have all the particular aspects this one has. The concept should be spread at more grass roots so people rely on pure organics. The loop can spread. Thanks to the folks who have done all the farming. It's a hard life but we'll rewarded when it works. That salient factor is a what inspired me to write back. The whole picture is healthier. We need to protect the organic farmer and fresh markets.